Time for my thoughts on the fourth fragrance from the 2016 SDM Fragrance Sampler that I picked up during a Black Friday weekend Bonus Redemption weekend! I had recently finished up with the Mascara Sampler that I picked up during that same shopping trip and luckily the Certificate was still good, heres hoping the same for this one. The seven beautiful mini perfume bottles. 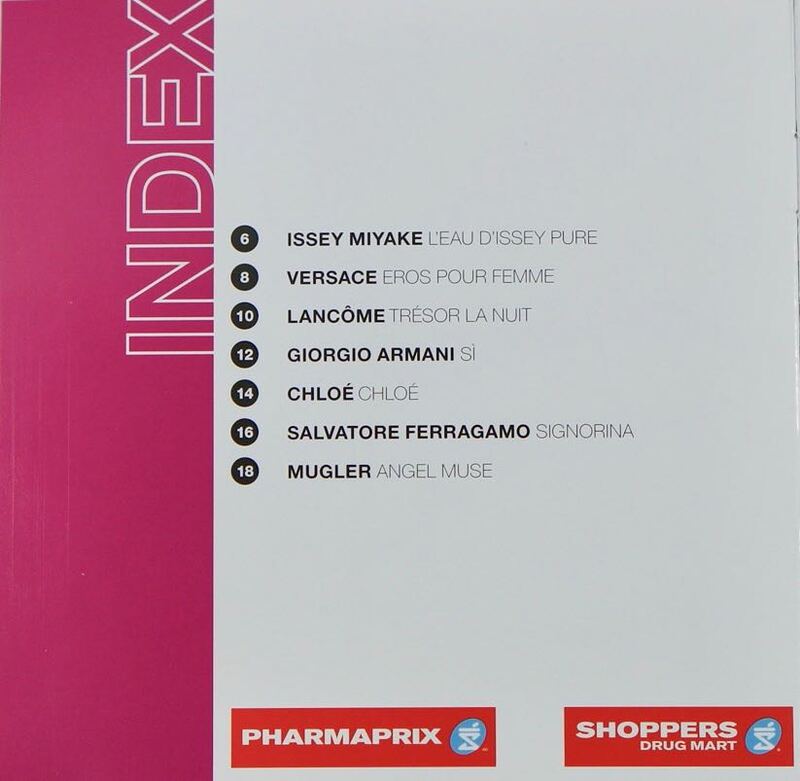 The fourth fragrance that I tested out was Giorgio Armani - Sì. Style: Giorgio Armani's tribute to modern femininity, an irresistible combination of grace, strength and independent spirit. At once chic, voluptuous, intense, and soft, Sì lingers on the skin and enchants the senses. The distinguished and elegant olfactory result plays on emotion, true to the Giorgio Armani couture spirit. Tones: The perfume combines three notes: blackcurrant nectar, modern chore, and blood wood musk with touches of freesia and May rose. The Woman: This new fragrance reveals a free, passionate, loving, and vibrant woman. I love the simple design of the Giorgio Armani Sì bottle. I also love the scent! My husband even likes the scent of this one, and he never says that about any scent I am wearing. I have had quite a few little fragrance samples of this one as well so I knew when I picked up the SDM Fragrance Sampler that there was at least one scent I liked that was included in it. 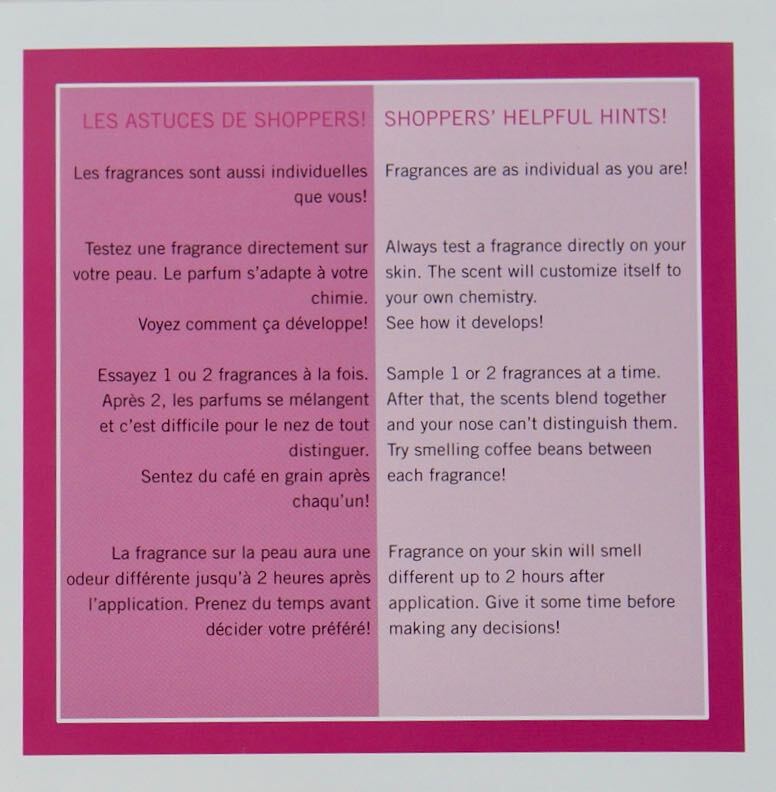 I love the simple notes, there is not a lot of different scents competing in Sì, and none are floral-y! The scent lasts for about 7-8 hours that I can still smell it which is long enough for me, almost a full workday! The scent also is light and not overpowering so I can wear it at work, which is a hospital setting, and it doesn't bother any of my co-workers who are sensitive to scents (I've asked!). So far this is my favourite. If you couldn't tell from my thoughts on Giorgio Armani - Sì, I love it and would have to give it a personal rating of 5 out of 5! I am pretty sure I have a few of this size of deluxe minis, so I am not sure if I will use the coupon for a full size. If I don't, than so far this is the one ill be getting!